Madhya Pradesh (MP) GK Quiz No. 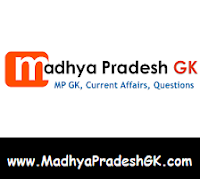 6 with Answers : Madhya Pradesh (MP) Samanya Gyan Quiz, Hindi GK Quiz Objective Questions with Answer for all competitive examination of MP State Government, MPPSC, MP Policem IBPS, SSC, BSF, Police Bharti, Teachers Exam, Admin services, State PSC, Bank, IBPS, CTET, MPTET and other examinations. This Madhya Pradesh (MP) GK Quiz or MK GK Sample Paper Question and Answers is based on MP SI Exam Paper 2012 held in previous years. Here is Sample Question Paper for all competitive examinations. Q.1 A family is comprised of father mother son and daughter The father’s age is 3 times the age of the daughter The son is half as old as his mother and is 7 years older than his sister If the father is 9 years older than his wife what is the mother’s age? Q.2 A plane mirror is kept in front of a clock If the actual time is 3:25 what time would the reflection show (if we notice only the positions of the two hands of the clock and do not pay attention to the numerals on the dial ? Who is the tall girl from Bhopal? Q.4 The remnants of one of the most ancient civilizations of the world Indus Valley Civilization were first discovered in Harappa Where is this Harappa situated? Q.5 In 1950s the Archaeological Survey of India found several sites in one part of India which yielded evidence that the Mohenjodaro-Harappa Civilization was centred not in Indus Valley but in this part of India In which present State are these sites situated? Q.6 River Narmada flows down from Amarkantak Hills to the sea What is the name of the area where it meets the sea? Q.7 Commonwealth Games 2010 were held at? Q.8 Karera Sanctuary is situated at? Q.9 Barman Fair is held at? Q.10 Who is the ‘Man of the Tournament of World Cup Cricket 2011?